Parent dances are very important part of the wedding and a wedding photographer should pay a lot of attention to be able to capture the best reactions of the parents and couples. Often the parents cry during the dances and that makes for amazing photos. 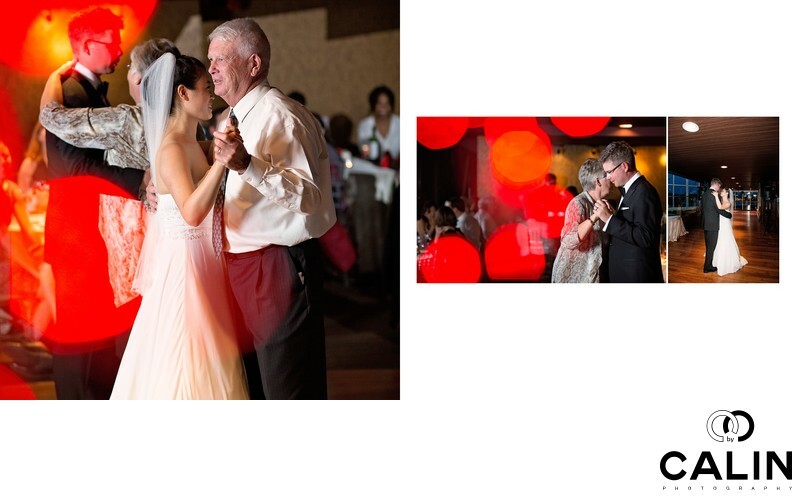 The photo of the left is showing the father daughter dance while the one on the right shows the groom dancing with his mother. Finally, the third image captures the bride and groom having a dance later that evening. The images on this album spread were taken during a Toronto Atlantis wedding.